Over three years ago, in the middle of the struggle to find a suitable position I remember the wise words from my Senior Pastor that this next chapter of my life would need to be about my families needs and not my own. That while my innermost desire was to not only get an ordained position but to be a part of starting a new church. The church that I was called to had no dreams of starting a new church, in fact it was not even on their radar. That leads us to today, where my iPad seems to be filled with scribbles, sketches, and notes on where we are going and being. For six months we have planned for this moment. The moment when we go from thinking and praying to DOING. As we take this step there is lots of unknowns. Where are we going to find these people for this new ministry? What is it truly going to look like? Those questions that revolve around the ministry. Then their are questions about myself. Can I do it? And then my own doubts come in and overwhelm me. If I did not have these doubts then I would concerned that I have not thought this whole thing through enough. But despite myself, I am to be used for something truly remarkable. I am convinced and feel called to do and lead this new ministry/ church. The word that I have felt for so long is “it’s time to go and lead”. That is where we are going. Looking ahead the rock that we are rolling up the mountain is steep but at least the rock is moving. As I have broken down the basic plan of how this whole New Worshipping Community is going to form it is not rocket science. Simply go, meet people, and be. It really is not that hard. The hard part is putting myself and my team in the position to do it. To do it through the exciting times and the times we are feeling overwhelmed. For the past six months our church has been engaged in discovering what is the next step for our church. We have begun to look at statistics that show that we are in the downward arc of growth. This is not bad considering our church has encountered these problems before. In each downward arc, the church (and God) managed to turn the pattern around and grow. Realizing that a majority of our members agree with this, we have begun to engage in the hard work of discerning where we are to go next. For the past couple years we have hired a church growth consultant that has been talking about to reengage in evangelism. As a number of us have come together to look at the possibilities of what could possibly be… it exiting. Exciting to be a part of reshaping the direction of our church. Exciting to interact with people that do not enter our doors. Exciting to be used. While I and several of our core leadership may be excited about the possibilities, it would be unwise for us to assume that everyone thinks the same as we do. This past Session meeting we began talking about conflict and change. How many times when change is made it can polarize people into groups and in cause deep divisions. In Session we discussed how do we defuse potential trigger points. The biggest thought was to create an atmosphere of unity. Unity of the church moving in a sense of mission… together we are doing this mission. 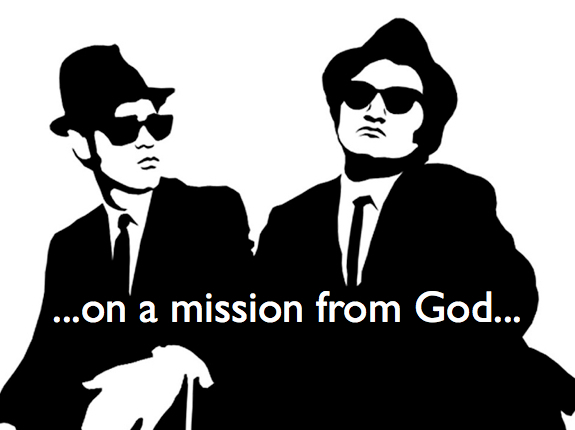 Often times it may be groups of people that are doing the “mission” rather than an “mission” birthed of the church. 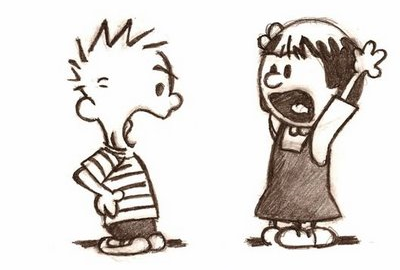 While conflict is a byproduct of change it must not be simply brushed under the rug. Rather it needs to be engaged and dealt with on many different levels. From the Ruler Elder on Session to the average congregation member to the shut in. It is in that spirit of unity that we have begun to really study and plan change instead of change that is not well thought out. These next couple of months should be exciting as the conversation starts on how we can do “mission” together. When I first came to my current call, I was told that I needed to take a class by Franklin Covey on organization and prioritizing. Many think of this as a Day-timer system. Well, me being a technology guy, lugging an organizer around with me everywhere was not my cup of tea. After some time of trail and error, I got rid of it for my Apple iCloud system. Whew. So here I sit with my own system that I created all on my own, but I see a mountain in front of me. Our church is in the process of transformation and rebirthing something new. While many of these details are still being sketched out, what I do know is that this is an enormous task. This is going to require a huge push into the community and those around us. Realizing this our Pastoral Staff has began to look at how do we do ministry in this new context. After all we still have the have same amount of hours in the week and my family might want to see me every now and then. There is an illustration that has large rocks, some stones, and some sand. But it cannot all fit into on container. 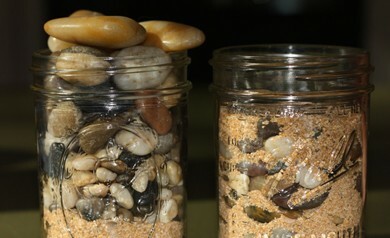 Unless you first put the big rocks in first, then the stones, and finally the sand. As we venture into this new reality are looking for the “must haves” of our ministry. Obviously, we are to lead worship and and provide the Sacraments. So they are designated our big rocks. Something of a less priority but still important is designated as stones. What is left is the sand. In figuring this all out it takes juggling and shifting of rocks as well as roles. We are beginning to understand what a congregation member thinks is important is not necessarily important (or top priority for us). Restructuring Sunday School may be a good idea, but not a priority for us. Another may think that being at every midweek dinner to do the prayer is vitally important, but what about meeting/ being introduced to a mother that is getting her first break of the day at the gym. As we move forward in what God is calling our Pastoral Staff to do, it may (and will) wrinkle a few feathers. We cannot get everything into the jar of our lives but are able to do so much more when we realize the importance and priority of it. Each week Cliff and I lead a couple hundred people in worship. Each week one of us preaches, and as we are greeting at the door we are told how wonderful our words are. When I was a younger pastor I gushed over these words. So and so thought that I was that great… perhaps I am the next Lloyd Ogilive or Tony Campolo? Perhaps not, but it did cause me to puff my chest out a bit for the next day or so. I read a book recently that talked about vision. It was about the purpose of the church and worship. We are not there to entertain or play music that the congregation is suppose to be playing. Nor is it suppose to say something profound that everyone will forget by lunch at the Olive Garden. Rather we are the eyeglasses to God. I like many wear glasses. The glasses serve the primary function of being able to see the world in which I live. It brings clarity and focus to the brilliant colors of God’s majesty. While my glasses serve a function, I do not stare simply at my lenses, but they bring clarity to something beyond. So is the purpose of the church and a worship service. It magnifies something beyond. With those words in hand, I have been really thinking about my role in leading worship. It is not all about me, or the choir, or the special music. It is all about what we point at and to. What we bring clarity to. Realizing that God does not want us to perform but to get out of the way of worship. Us Pastors are merely the glasses that bring clarity to a God that many times is beyond understanding. This is more than the Pastors and a service, but also our programs/ events as well. In all that churches do, we need to magnify what is beyond… to step aside and not let it be all about us. Last night I talked about Nehemiah 8 and how Ezra taught the word of God from morning until noon. We focused on the idea that it was not all about Ezra, but to who Ezra was pointing to. You see Ezra was only the glasses and magnifying the God beyond. Wow. Those are some striking words. The word “fool” appears over three hundred times in the Bible. Calling one a fool is not what it means in our society, where we assume the other cannot think of any other name to call us and is very minimally critical. The meaning comes in several different ways. 1. Simple minded 2. Those that do not posses wisdom 3. Deliberate sinner 4. Maliciousness 5. Pursuit of own desires 6. Thoughtlessness. Basically you get the idea. It is one that puts our own ambitions in front of what God has called us to be/ do. I am starting to get an idea of what God is calling me to. Things that break my heart. Anger and disappointment between fellow people of faith. The words that I have been struggling with are those that I took a vow to in my ordination. How will I further the peace, purity, and unity of the church. As I see this denomination becoming fractured, what is God calling me to be a part of? Only God know and I definitely do not want to be called a fool. I was searching the internet for some ideas for my installation and ran across a newsletter for the now Rev. Isaac Chung’s new church. I was intrigued by what his pastor wrote on ordination from a Reformed perspective. Ordination holds opposites in tension. It sets individuals apart for a particular purpose, but calls them to carry out ministry in community. For pastors in particular, ordination rises “from below” – an act of the whole church, carried out by the presbytery, in order to choose and propose the candidate – and “from above” – a gift of God bestowing both skills for pastoral ministry and a recognition of dependency upon the Holy Spirit for their use. It is both the culmination and the beginning of the call to ministry. While God ﬁrst calls individuals to a life of service, the church then conﬁrms this inner calling, through Committees on Preparation for Ministry, Seminary, and even Pastoral Nominating Committees. Ordination, then, serves as the culmination of that initial call, with installation marking the beginning of service in the calling community. The central act of ordination is prayer and the laying on of hands. It has been said that in this act, the candidate is overwhelmed by two conﬂicting feelings – a strange burden and a strong support. In those hands the weight of the church’s faith, the witness of the saints, presses down. Yet in those same hands, the candidate is upheld, given that which he or she does not have through education or natural inclination. It is truly a mystical event. Finally, the pastor is a leader, but this role only arises because of those whom he or she leads. Martin Luther said that “there is no true, basic difference between laymen and priests… except for the sake of ofﬁce and work, but not for the sake of status.” If it were not for the laity, there would be no need of pastors, and the work of the church would collapse before it began. We are all part of Christ’s work, and are called as such. As Luther said, “we are all priests, as many of us are Christians.” The question, then, is not “Am I called to ministry?” but rather, “To which ministry am I called?” In the Reformed tradition, pastors are called to preach to the congregation, in the name of Christ, so that the congregation may preach to the world in the name of Christ. So I am a bit off. Last semester in my Confessions class we really got into the need for inclusive language within the church. This includes changing words within Bible translations and even from the puplit/ worship service. Last year a report called the Trinity Report was released by the PCUSA. It was adopted by the General Assembly as a study material but was not adopted to be a theological reflection for the Presbyterian Church. This document became one of the many issues that is splitting the church today. It seeks to enlarge our understanding of God, but many hold fast to traditional thought sand reflections. I too am one of these… at least until lately.One of the its main charges of the report was:The document speaks of “inclusive” language for the people of God and “faithful” language for God, language that plumbs the depths of scripture for rich and varied imagery. Such “faithful” language for God affirms classic trinitarian doctrine while seeking fresh ways to speak of the mystery of the triune God. All theological reflection involves words and language, and so we must grapple with the limits and possibilities of language for God, but this was not the primary charge to the task force. The General Assembly asked for faithful and constructive theological reflection that could help the church renew its faith in the triune God. (Lines 84-89)Looking at its charge and duties does not sound like anything heretical. It just looks to expound the way we look at God. My stance until recently is that is is just a bunch of liberal, feminist, enviromental, ect…mumbo jumbo. Making me adjust words in my papers and such so that everything is “politically correct”. I often argued that God IS the father of all. Why should we need to change that? Just so that people feel included. Isn’t that changing the essence of the Bible and our faith? Where does that stop or does it?That is when it hit me earlier this summer. I mean really hit me. It was in a sermon that I was listening to by Francis Chan. He described how can someone with a bad image of what a father is truly understand what God wants to give and do for us. If we have/ had a bad fatherly image how can we see God wanting to protect us, enable us, and want to love on us? We can’t. It skews our theology of God. For many it could be impossible to see God in a “traditional” God the father way, but that should not exclude us from the best way possible in understanding God and his depths in others. While others may refer to God as mother and other adjectives I am beginning to understand why and that God is not encased in our meek words but his understanding goes beyond all words.While I don’t pretend to even know more than the surface on this subject, there is one thing that I do know, no matter our history God wants to include each of us into His plan.